If you want to have a vacation of a lifetime, Vienna is one of the most perfect cities to visit. If you love art, you must visit Vienna. If you love music, you must visit Vienna. If you love food, you must visit Vienna. As you can see, the reasons are endless. 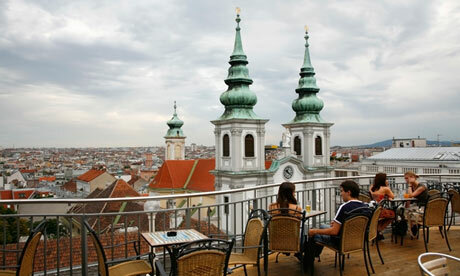 Here are five reasons why Vienna, Austria is a great place to travel. Great art. There are many museums, or kunsthalles, to visit in this incredible city. Not only can you see some classic European artworks dating from the middle Ages to the Renaissance, but there are also many exhibitions of contemporary and modern art – dating from the early 20th century to the present. In fact, it is quite interesting to see some new artworks juxtaposed against the aging backdrop of this ancient city. Great music. Indeed, Vienna is where almost all of the most famous classical composers and musicians came to study and create their works. It has been that way for centuries and it is still that way today. If you want to see some amazing classic pieces performed live or if you want to have a once-in-a-lifetime evening at the opera, this city is your destination. One of the most important Vienna travel tips is to purchase tickets to these live performances ahead of time by visiting A & A tickets online. Great food. Viennese cuisine is some of the best in the world. Not only are the desserts to die for, but the hardy, meaty, and savory main-course dishes are heavenly. Try the selchfleisch, which is a sort of smoked meat dumpling. Or try the rindsuppe, which is a sort of meat stew that is great with sauerkraut. In fact, most of the food is served with sauerkraut and it adds just the right amount of tangy deliciousness to all your meals. If you want to have a once in a lifetime dining experience, this city has it all. Great architecture. Vienna’s architecture is interesting, because it is a mixture of different styles. Upon face value, you may think it is all the same. However, if you look closely, you can see all sorts of styles of architecture – dating from the medieval period to the Baroque period and even all the way up to Neoclassicism. Plus, a lot of buildings were bombed during the war, so you have a lot of newer architecture as well. Great shopping. If you are a shopping lover, Vienna has some amazing districts where you can whip out your credit card and pick up some of the hottest local and European designers. 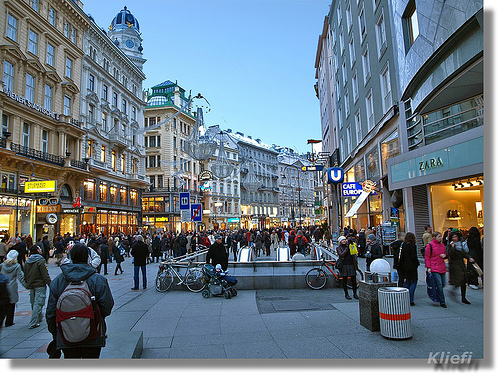 If you want to add a whole new edge to your wardrobe, visiting Vienna for the shopping and excellent fashion alone is worth it.